Every year I do a "best of" blog post, and 2017 is no different! 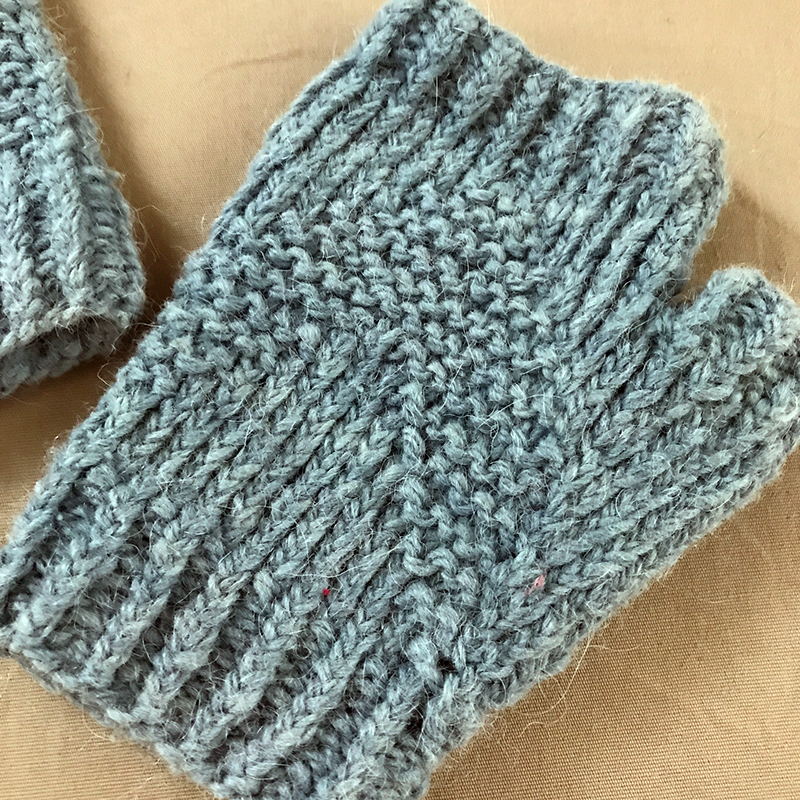 In this post, I'd like to share with you my top 5 books read this year and my top 5 patterns knit this year. Keep in mind, they may not have been published this year; 2017 is the year I discovered them. 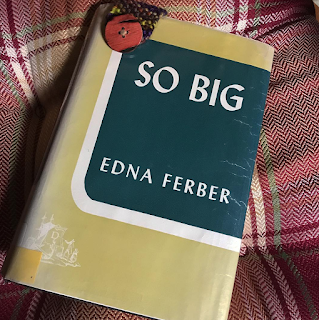 My number one favorite book of 2017 was So Big by Edna Ferber! If you haven't listened to the last episode of the podcast and you're interested in this book, please do! Interesting fact, quite a few new listeners downloaded that podcast in December, and I'm not sure why, but I am thrilled that so many people are interested in Ferber. While her stories may not be as enlightened as those written in the 21st century, for a woman writing in the early 20th century about racism and sexism, Ferber is refreshing discovery! 3. Thornhill by Pam Smy: A novel that is very similar in structure to The Invention of Hugo Cabret, part prose, part illustrated novel. Smy's work follows separate stories of two girls, one in the present and one in 1982, that converge in the story of just what happened at Thornhill Institute. This is not a children's story even though the publisher places the age range at 10 - 14. This book deals some very troubling issues including suicide; I wouldn't give this to a teenager younger than 16, and I would definitely discuss the book with them after they read it. That said, it is a great psychological thriller for adults told in a very unique way! 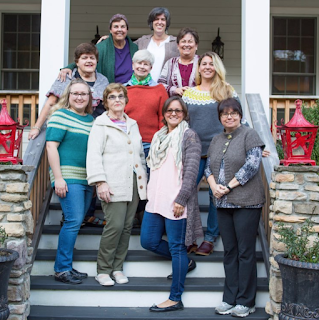 My absolute favorite pattern from 2017 was the Gigi cardigan by Devin Ventre. 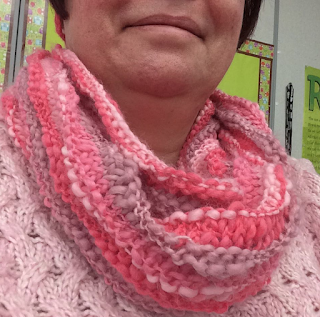 I made this out of the Jacob sheep wool from my family's sheep farm and wore it to Rhinebeck this year. The pattern is knit top down with short raglan sleeves and a generous cut to hide what the designer and I call our "mom belly". This pattern is very well written and suitable for someone who hasn't knit many sweaters (this was my second one ever). 1. Classic Octopus Hat by Molly Kent knit in Pembroke worsted in the colorway Copper Agate and Cascade 220 in the color Pacific. 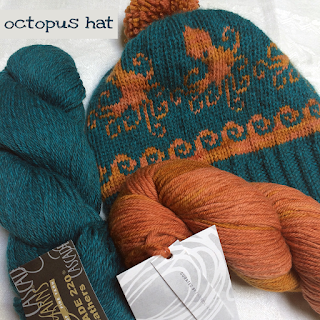 Still have no idea why octopuses, but I love this hat now that it is ridiculously cold in the northeast. 3. 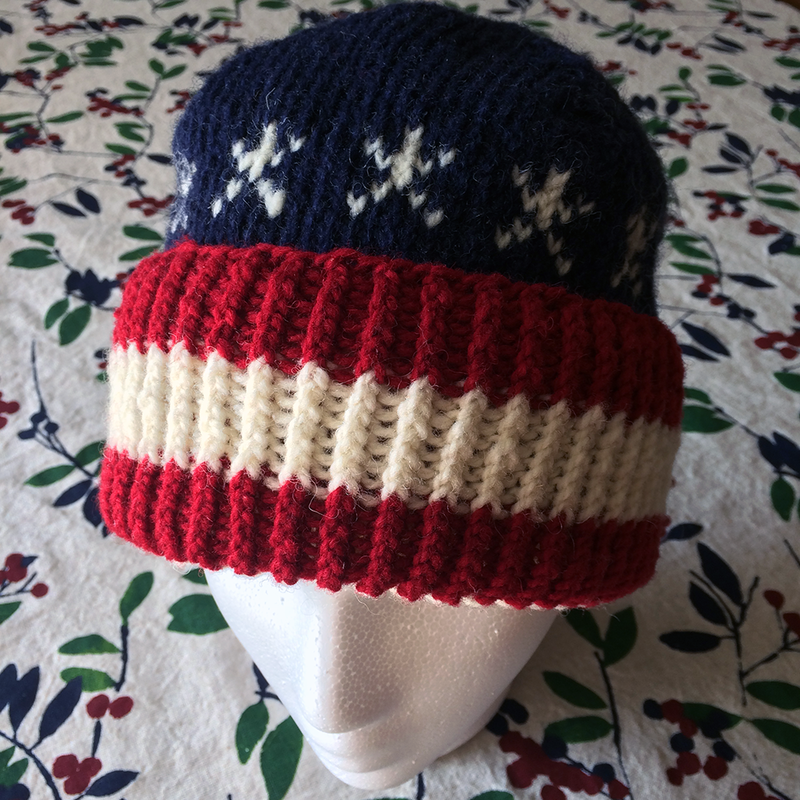 My One Nation, Under God hat pattern inspired and created for my principal. It's a free pattern; details and the pattern can be found here. 4. North Country Mitts by Andrea Mowry knit in yarn from the Wooliers indigo dye kit. 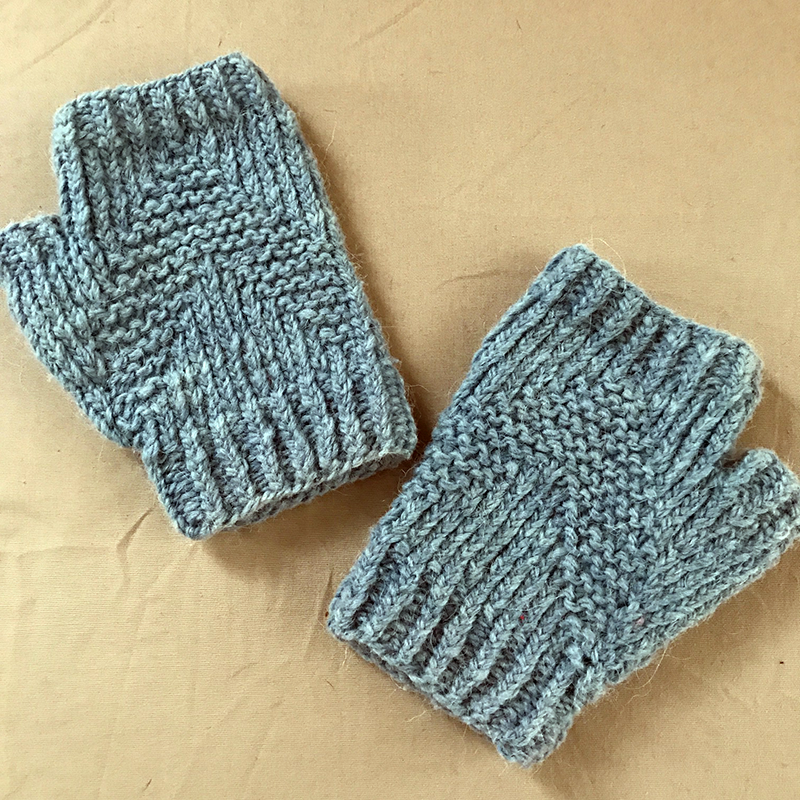 I wrote about my experience dying this yarn on the blog and recently knit the yarn into these very simple mitts. 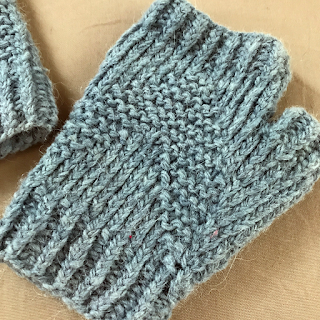 The chevron pattern created with purl stitches makes for a unique look, and I used about 80 yards of the yarn to make them. I bought a 9" size 7 circular needle to make these and love it! While I use dpns on many patterns, I find them fiddly and will probably poke my eye out with one someday, so these small circulars are a treat! I also didn't get any "ladders" using them although I've started using 4 dpns rather than 3 when I do go that route, and my laddering has been drastically reduced.